Every year I happily volunteer to bring the salad when we celebrate holidays with family. 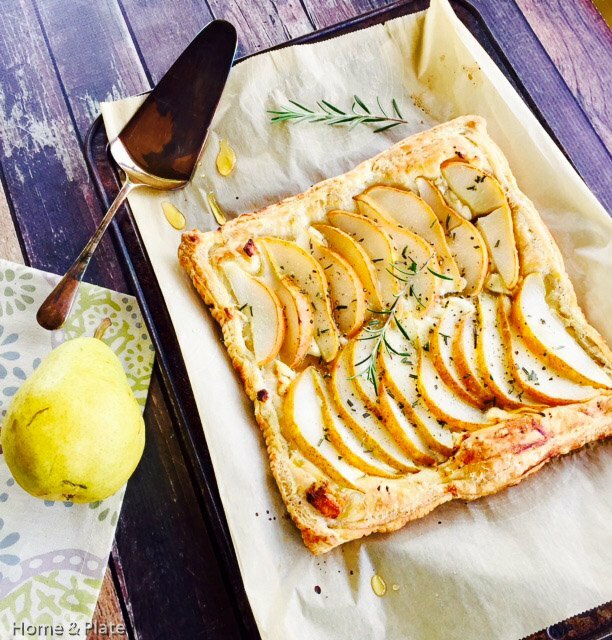 This super simple yet delicious Autumn Pear Salad with a Citrus Dressing is a winner on any dinner table. 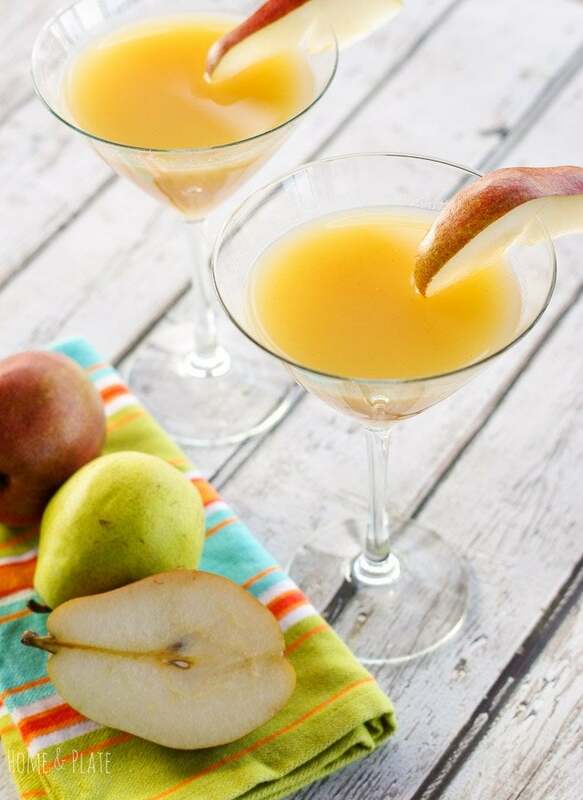 This cocktail is a delicate yet sweet and floral tasting martini that pairs together two great spirits, pear flavored vodka and St. Germain Elderflower liqueur. 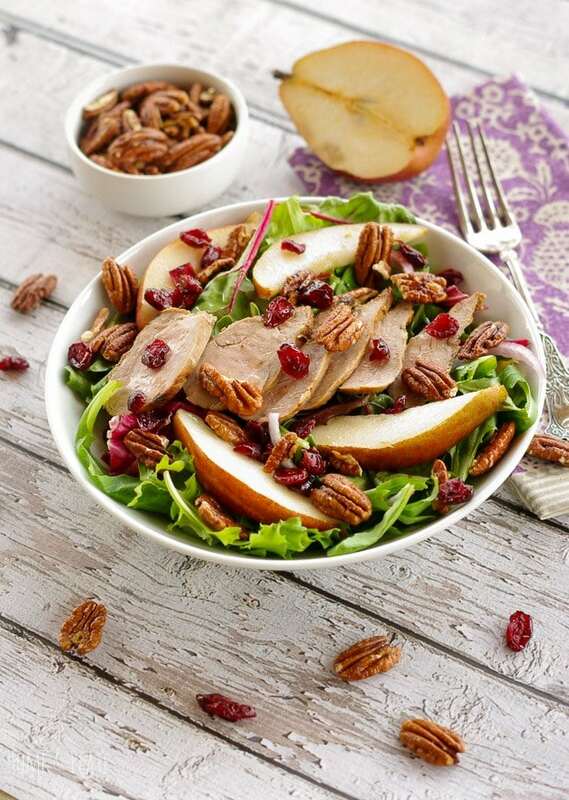 The sweet syrup from red Anjou pears and the heat from the pecans add more flavor than you can even imagine to this simple healthy salad. Nourishing Whole Grain Smoothie with Pears, Blueberries & Bananas | www.homeandplate.com | Start your mornings by nourishing your body with wholesome goodness and fresh seasonal fruit.